Who could ask for anything more? As previously speculated, the 1992 musical Crazy for You, featuring the music of George and Ira Gershwin and a book by Ken Ludwig, is aiming to come back to Broadway. The show will be produced by Los Angeles' Center Theatre Group in a pre-Broadway production running from February 7-March 18, 2018. Susan Stroman, who choreographed the original Broadway production (and re-created her work on a recent 25th-anniversary concert), will direct and choreograph. “Crazy for You is—at its heart—a raucous musical tale about the power art has to bring life to a community and purpose to its people,” Stroman said. “It’s as resonant today as ever, and I am thrilled at the chance to rediscover this show and introduce a whole new generation to its great comedy, unabashed romance, and the most choreographically inspiring Gershwin music the world has ever known." 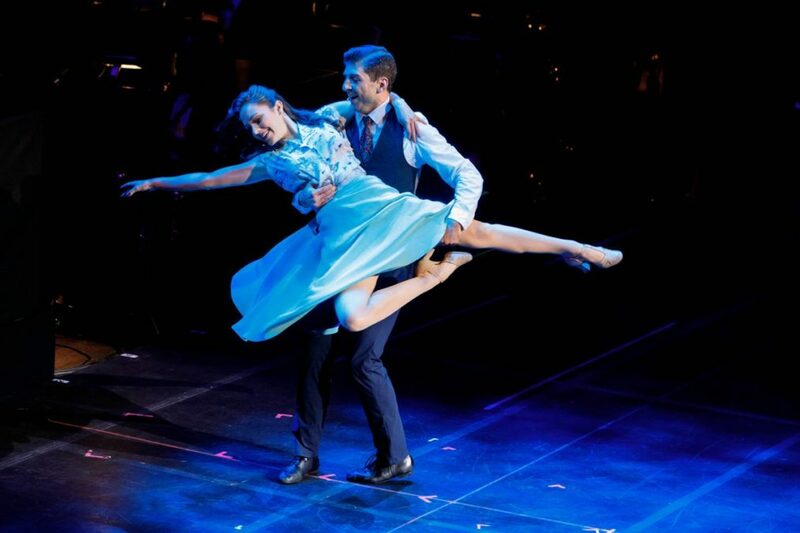 The recent concert performance, which played Lincoln Center's David Geffen Hall on February 19, featured Tony Yazbeck and Bandstand's Laura Osnes leading a starry company that also included Crazy Ex-Girlfriend's Rachel Bloom, Rachel Dratch, Jerry O’Connell and more. No word on whether that roster of talent will take the production to the Great White Way. Crazy for You features classic songs like "I Got Rhythm," "They Can't Take That Away from Me" and many more. The original production won 1992 Tony Awards for Best Musical, Stroman's choreography and William Ivey Long's costume design.